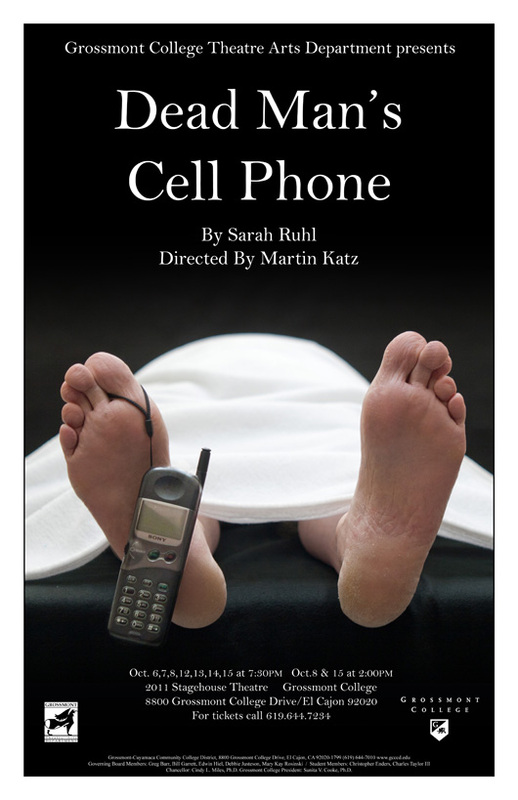 Dead Man¹s Cell Phone By: Sarah Ruhl Directed By: Martin Katz Oct. 6,7,8,12,13,14,15 at 7:30PM Oct.8 & 15 at 2:00PM 2011 A café. A dead man. And a cell phone that won¹t stop ringing. When Jean, a stranger from the next table, decides to answer it she sets in motion a chain of events that is, by turns, baffling, mysterious, comic, and grim. And as Jean becomes involved with the dead man¹s wife, mother, mistress, and brother she begins to suspect that her life will never be the same again. GROSSMONT COLLEGE- The end is near, the end of the semester that is. With finals looming over and a lot of students trying to decide what they will do when it is all over the campus is in a frenzy of indecision. One thing is for sure though: this is the last chance in the spring semester to catch a Grossmont Theatre Arts performance. Not only is Blithe Spirit the final show for the semester, but It is also Professor Henry Jordan’s farewell play with Grossmont College. He has decided to retire after 22 years on our campus and over 44 plays directed. Jordan lets the curtain fall laughing with this Noel Coward play. Written in 1941 to lighten the mood during World War II it is considered an improbable farce. This play may be the perfect distraction from the stress of cramming for finals. GROSSMONT COLLEGE– Jazz by the bay and spirits at the Stagehouse highlight the offerings for Grossmont College arts lovers this month. The third annual Jazz All Stars concert will take place at Humphreys by the Bay on May 2. There will actually be two concerts. The first, from 7 p.m. to 8:30 p.m., is a family concert open to all ages, and will feature straight-ahead jazz performed by members of Grossmont’s music faculty. Among the performers will be Steve Baker on piano, Paul Kurokawa on trumpet, and Doug Booth on guitar. The second concert, beginning at 9:30, is for the 21-and-over crowd, and will have a more Caribbean/Latin dance feel. It will feature the Afro-Cuban Ensemble led by Derek Cannon, Ritmo Caribe, and Manny Cepeda. Tickets are $18 general and $10 for Grossmont students, and are available at Humphreys Box Office at (619) 224-3577. The concert is a benefit for the Grossmont College Music Scholarships. This program helps Grossmont music majors pay for the private lessons required as part of their studies. GROSSMONT COLLEGE – It’s opening night and standing just outside the door to the Grossmont Stagehouse Theatre is a large group of patrons patiently awaiting the opening of Hamlet. This Shakespearian classic is definitely a favorite of this crowd. Many of the theatregoers were talking about the last time they saw this play, but how would that evening’s version stack up to their expectations? Well from start to finish this three-hour epic did nothing less than take our breath away. Although this is the first time I have ever seen Hamlet I was amazed by how the cast, under the direction of Jeanette Thomas, was able to draw me in. Hamlet is about a young man who is struggling with the death of his father and the turmoil of his mother remarrying his uncle. 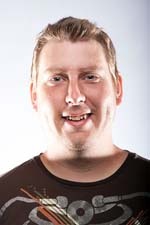 However throughout the play as Hamlet’s mind was deteriorating, Jake Rosko portrays Hamlet as a man reverting to childhood. He begins to skip around the set and he hits his lines with a humorous attitude that will have you laughing through the tears. Another memorable player is Kylena Parks portraying Ophelia, the daughter of a man Hamlet mistakenly kills. Parks’ vocal talents are on par with a professional operatic performer, and in addition to her work on campus, she may be seen in productions at the San Diego Civic Theatre. GROSSMONT COLLEGE-Drama students presented vivid examples of the craft of acting in “Inside the Actors’ Process: Improvisation,” directed by Grossmont theater professor Jerry Hager. 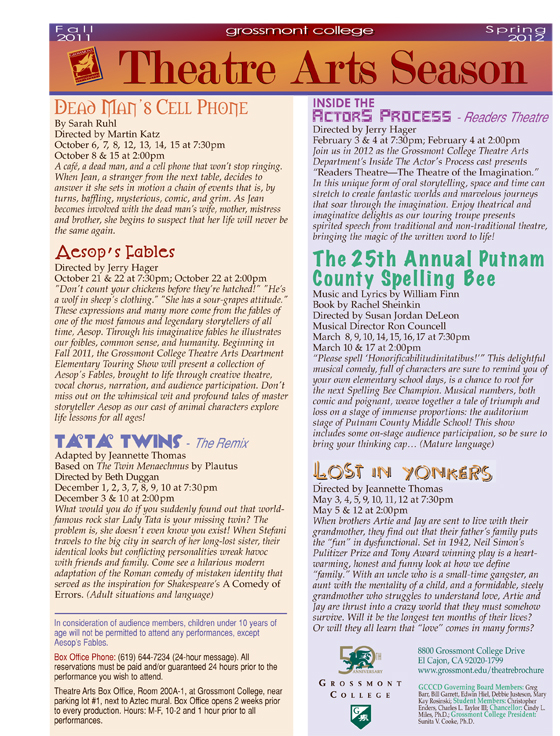 The production played both at Grossmont College (on Feb. 4 and 5) and at various high schools. Many in the audiences were astonished by the unorthodox monologue styles of the cast. Paul Rossi’s contrasting monologues, where he performs as Hook from Peter Pan and seamlessly transforms into Puck from A Midsummer Night’s Dream is a performance that this reporter will remember for years to come. The cast of Grossmont's February production of "Improvisation"
Then you have Geoffrey Alejo (who was recently hired to play a student in a Coleman University commercial). He gave a very animated portrayal of Howard in The Last Cigarette that really smoked. Another highlight was Katherine Bothwell, whose performance as Tilly in the Melancholy Play had the audience on the edge of their seats, faces flushed with emotion. All in all, this was an outstanding showcase. For those of you who were unable to attend you can watch for many of the same performers in the upcoming plays this semester, beginning with another well-known showcase for actors – William Shakespeare’s Hamlet. That production opens at Grossmont College’s Stagehouse Theater on March 10 and will run through March 19. 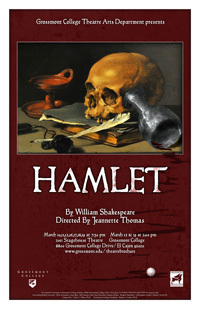 GROSSMONT COLLEGE (Press Release)–The theatre arts department will present William Shakespeare’s Hamlet, directed by Jeannette Thomas, at the Stagehouse theatre on campus March 10-19. Tickets at the box office cost $10 for students, $11 for staff, seniors and military, and general admission is $12.